and wear comfortable hearing protection! 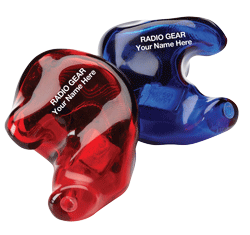 RadioGear® Hearing Protection Earpieces Allow You To HEAR YOUR RADIO IN HIGH NOISE. 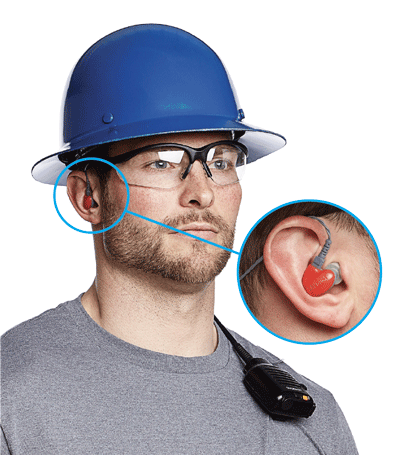 Custom-fitted earset delivers superior comfort and consistent communication. Ieal for every size and shape of ear. Optimal for use with ear muffs in double hearing protection environments. Ideal for double hearing protection requirements and when using full face respirators. 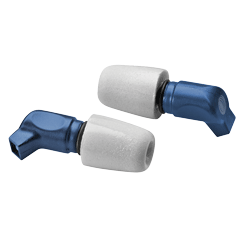 Utilizes a variety of hearing protection tips to achieve maximum comfort and noise attenuation. 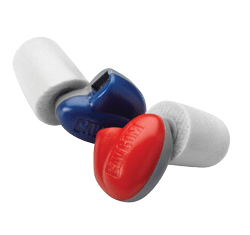 Ideal for on-the-go personnel who need reliable hearing protection and clear communication. Utilizes a variety of hearing protection tips to achieve maximum comfort and noise attenuation. If your 2-way radio users are struggling to HEAR transmissions because of high noise and have a hearing protection requirement, and you like the flexibility of a speaker mic or talking directly to the radio, then RadioGear® is for you. Incredibly lightweight and durable, high quality speakers are embedded in each hearing protection earpiece for clear radio monitoring. Far superior to everyday earphones or earbuds. Limited audio output protects against uncontrolled outputs from speaker microphones that can be hazardous to your hearing.